They say you must be patient to be a landscape photographer and you may have to wait for hours to get the right light for an image. 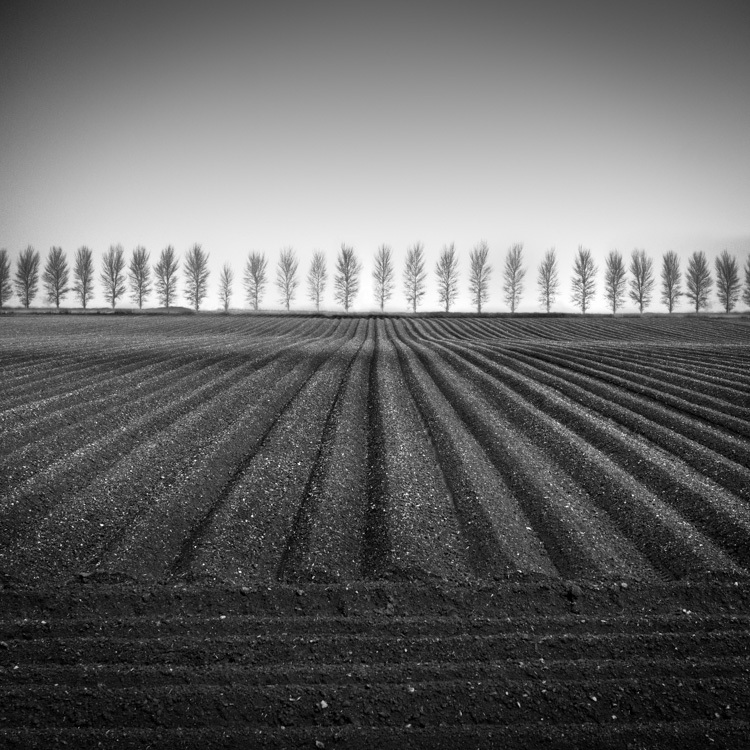 Well I must either be very patient, or just slow, as I first had the idea for this image way back in 2006, but such is the pace of agriculture, I never managed to catch this scene with just the plough lines, as they always managed to harrow the field before I got back to shoot it. 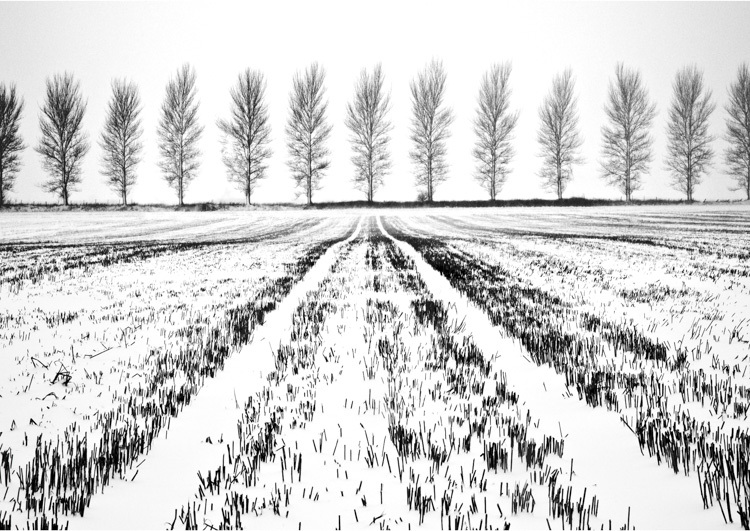 However, I did manage to get one of my favourite images in 2009 with the snow and the stubble lines, but I still had this lingering desire to shoot the line of trees with plough lines and separating the trees from the background somehow and that has proved to be as big a problem as catching the brief window of opportunity with the plough lines. Fast forward to last Monday evening and we attended a lecture by Jonathan Critchley and he mentioned that drizzly weather was one of his favourite times for photography and that gave me an idea. We like to shoot a lot of our high key mono images in the reduced visibility given by mist and falling snow, but that limits us to how many of these images we can produce in any one year. I’ve been wrestling with the problem of how to shoot this style of image during the rest of the year for some time and this sounded like a plan! Wednesday morning started rainy, so I knew exactly where I wanted to be, so as soon as the rain eased, I was in the car and heading for Welburn. The sky was clearing rapidly when I arrived, so I had to work quickly, but I finally came away with the image I’ve been looking for, for all these years. This entry was posted in Monochrome, Musings.